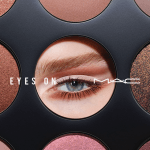 In the beauty world, one of the most anticipated launches of the year is M·A·C ‘s holiday collection. 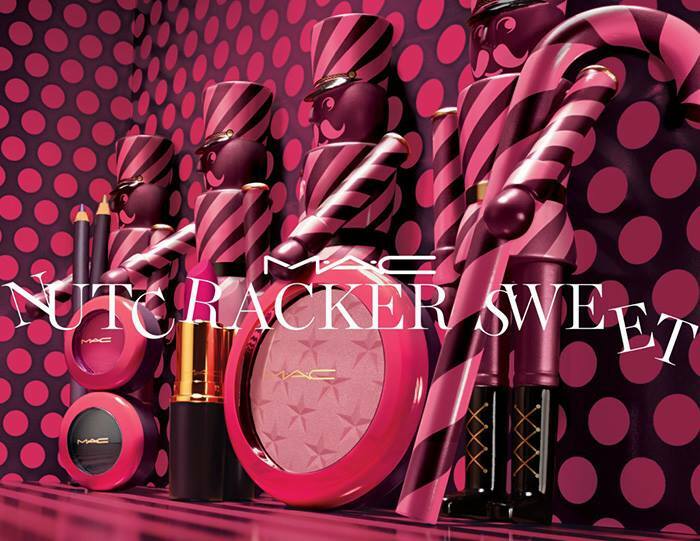 This season, M·A·C tempts us with the whimsical Nutcracker Sweet Holiday Collection. It’s sugary-sweet fun for everyone! I can’t think of a more beloved holiday tale than The Nutcracker. 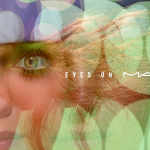 So for M·A·C to put their spin on the makeup that the Sugar Plum Fairy would wear is fitting. The Nutcracker Sweet Holiday Collection is huge, and includes makeup, and gift sets/palettes (which will be covered separately). 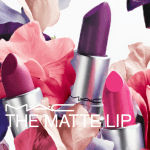 The color collection focuses on makeup that shimmers and sparkles for the season. 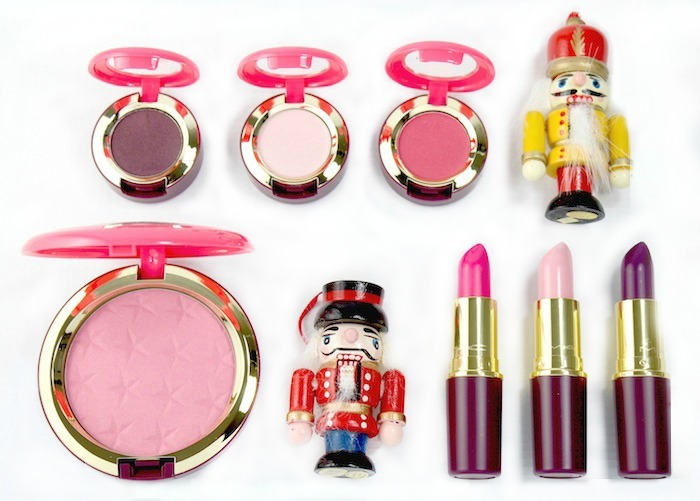 I was able to preview the M·A·C Nutcracker Sweet Holiday Collection. I tried the Magic Dust Eyeshadow ($19) in Dark Lullaby (midnight purple), Dance Flowers Dance (light pink), and Rabblerouser (bright pink). 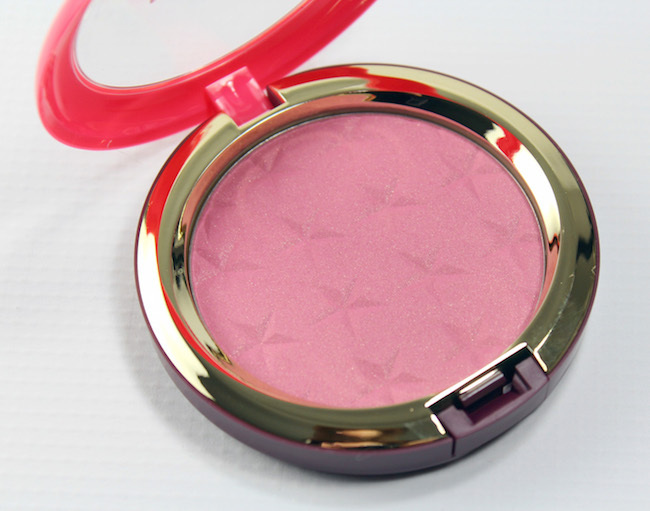 The eyeshadows have a shimmer finish, are nicely pigmented and feel silky. Dance Flowers Dance is an especially nice base or highlighting color to have. 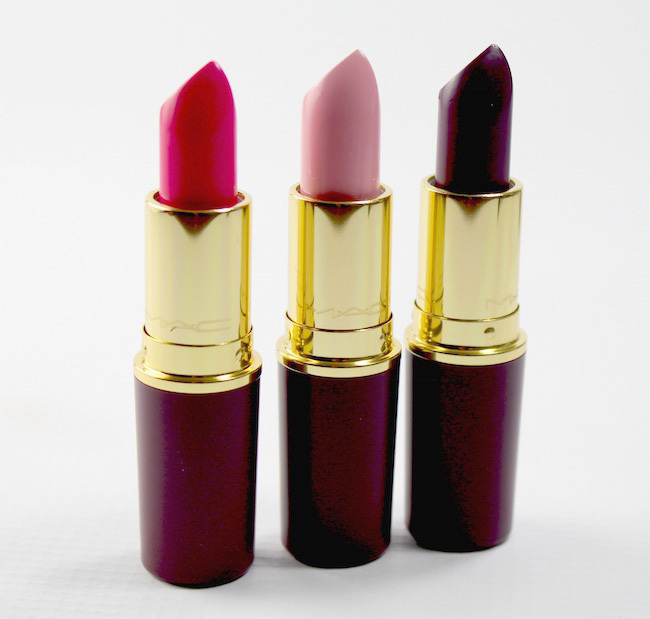 There are five Lipsticks ($18) in various finishes. I tried three: Flamboyish (hot pink/Matte), Kingdom of Sweets (soft pink/Creamsheen) and Leap of Delight (deep plum/Matte). They all wear exceptionally well, as you’d expect from M·A·C . I love Leap of Delight for the “bruised lip” that is so on-trend right now. What I like is that you can easily blend the shade down so it’s not quite so intense; it really softens the look and is so pretty. The Magic Dust Powder ($28) in Yum Yum Yum is a soft pink shade with a gold shimmer; a beautiful finishing powder, especially for holiday. 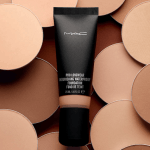 It’s soft and creamy textured; wonderful for adding a bit of luminosity to your look. 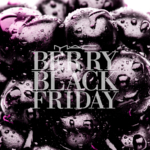 You can use this on face or body. This is my must-have from the collection! 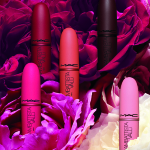 The M·A·C Nutcracker Sweet Holiday Collection is available now in department stores, including Nordstrom and at maccosmetics.com. Do you plan on picking any pieces up? I’d love to know what you’ve got your eye on!